The phrase “international marketing” may sound like an ordinary topic that corporations and import-export service providers discuss in daily meetings. However, you may be surprised to find that not every business has a strong grasp on what global marketing is or what it entails. The internet ushered in an era of globalization that changed the rules of the game. Anybody who used the internet during the dot-com boom probably saw this coming. In today’s global landscape, hiring new employees or contracting remote personnel has become nearly effortless. Offshore and outsourced personnel are now an integral part of US culture, sometimes even outperforming their mainland peers. Another element ushered in by the internet is social media, which has created a massive environment to stay connected with offshore agents and companies. Response times have improved and have in some cases become instantaneous. As a result, global marketing tasks have become easier to achieve and to adjust to mainland growth and sales objectives. International marketing experts and scholars have subsequently focused their efforts on economic factors, political structure and investment. 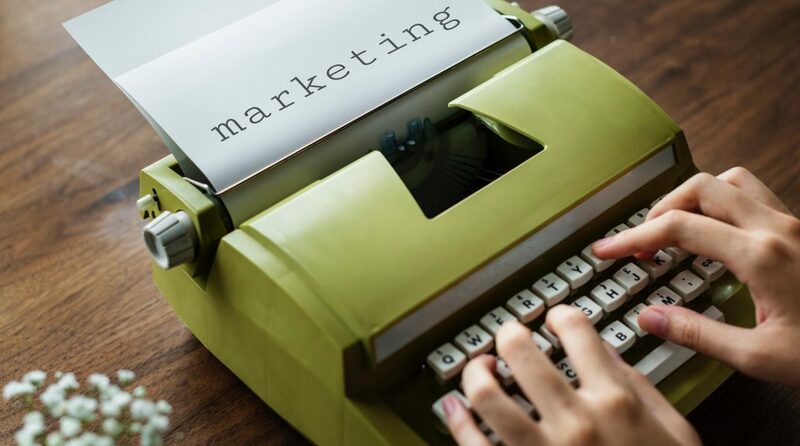 These are all key factors and qualitative elements that need to be taken into account when looking at the complete scope of marketing efforts. The difficulty lies in understanding these factors, prioritizing them and understanding how to adapt to them. These global marketing effort recommendations are meant for small- or medium-sized companies. A corporation or enterprise works in different ways due to embassy offices and different specifications. Global Strategy Local Tactics: When in Rome … you know the drill. It’s still an undeniable truth. You need to adapt to countries using strategic tactics. Every country represents a different set of rules, customs and cultures. A smart, well-consolidated strategy is crucial to providing a clear direction for both mainland and offshore teams. Leverage Hidden Creativity: Working in other countries that have reduced access to tech and economic resources forces you to get creative with your problem-solving. The United States is blessed with an abundance of resources and tools, many of which we take for granted. Ask your team to brainstorm and you might be surprised by the answers you receive. Get Your Tone Right: The language barrier can seriously hinder your efforts. That’s why you need to choose your words carefully when creating a multi-regional campaign in order to effectively convey your message. The message should be clearly defined and easy to understand. Audit your content and prepare a guideline to maintain consistency across all of your platforms. Doing so will help you explain to your offshore teams how they should be communicating rather than sending the same message over and over again. Your messages need to be modified just enough to make them usable in a different culture. For example, the “healthy” options that McDonald’s offers vary from country to country based on that country’s culture and general preferences. A chicken salad that you might find in a US McDonald’s is the equivalent of a quinoa fattoush salad in Kuwait. Remember Digital Personas: This technique has become a popular trend among entrepreneurs. It’s a great way to understand your target market and potential customers as well as to strategize ways to organically attract those customers. It can also help to reduce the pressure and costs that come from large-scale marketing research exercises. Pictures: We are visual creatures, which is why the utilization of visual elements is essential. A well-crafted image can send a clear message that transcends borders, languages and cultures. It’s important to remember that consistency is key. Your teams should apply their creativity to push your company’s tone and brand identity. Treat Your Global Campaign Like a Military Operation: Appoint a leader and hold him or her accountable. Create a list of focused objectives, budget wisely and plan for any possible delays. Remember that in the midst of battle, retreat is an option and also a strategic move. Pivot toward your goal and strategize effectively to achieve success. Progress Not Perfection: To get a better grasp on your target markets, you will need time and consistency to attract your clients organically. You can also dive into a heavy promotional strategy based on impulse sales. In this regard, you need to aim for accuracy and speed. It all depends on your objectives, but for the sake of budgeting, some progress is better than nothing. Communicate Relentlessly: Constant communication is vital. This is easy enough when your teammates are in the same building as you; however, when your teammates are in another country or time zone, it requires a bit more effort. The issue that is often overlooked is the speaking etiquette and energy required to facilitate communication between multicultural teams and individuals. Resolving this issue will pay off in the long run. In any global marketing deployment strategy, your goal should be to gain a common ground with your customers. Let them view your company as a familiar brand. Once they feel sufficiently confident and comfortable, start generating real impact that results in leads, purchases or conversions. In the end, it’s all about your strategy and how you approach it. Taking the proper steps to gain a good grasp on your target market will help tremendously, but you also need an energetic team behind you that’s prepared to resolve any issues and overcome any obstacles. The internet is a wonderful tool for collaboration and should be utilized to its full potential to maximize productivity and communication. Cesar Contreras is a marketer from a mystic place. You can find him at a random shopping mall in San Diego looking for collectibles or at a cinema in Tijuana. Tech and marketing are his passion, mixed with a bit of pop culture here and there. Cesar also writes for Advancio.